We’re happy to share some of our favorite planning and educational resources with other boating communities and their residents. After all, there is nothing like a great day of being on the water! How to Throw a Line (and Make Your Captain Smile)! 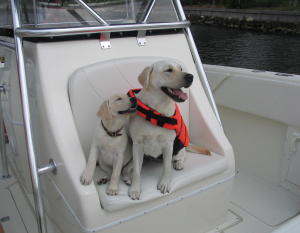 Florida Fish and Wildlife Conservation Commission: Florida law requires that persons born on or after January 1, 1988, complete a NASBLA-approved boater education course prior to operating a vessel powered by a motor of 10 horsepower or more. The law requires that persons affected by this legislation have in their possession a Boating Safety Education I.D. Card issued by the Florida Fish & Wildlife Conservation Commission and photographic I.D. while operating a vessel. Even if not required by law to get the Florida boating license, many boaters take the boat safety course in order to save on their PWC or boat insurance. US Coast Guard Auxiliary: The US Coast Guard Auxiliary sponsors a large number of courses from Basic Boating to Advanced Navigation. Most courses are free with minimum cost for materials, are taught by volunteers and are NASBLA-approved. US Power Squadrons: The US Power Squadron sponsors a large number of courses from Basic Boating to Celestial Navigation, Engine Repair, and Seamanship. Most courses are free with minimum cost for materials, are taught by volunteers and are NASBLA-approved. Contact the USPS at 888.367.8777.